December 15, 1918 - November 8, 2018 Marjorie Louise (Blood) Chorlton was able to admire the bright autumn leaves from her window as she spent the final days of her life at Barbar Vista Care Center. Marjorie Louise (Blood) Chorlton was able to admire the bright autumn leaves from her window as she spent the final days of her life at Barbar Vista Care Center. Marjorie died peacefully surrounded by family, friends. Born and raised on a farm in Viola, Idaho with her siblings, she developed strong family values and her love of nature. Marj, as she was called by loved ones, graduated from the University of Idaho in 1940 with a degree in Home Economics. After the war, she and her husband Bill came to live in SW Portland and build their family. Throughout her life she was an extraordinary homemaker, mom, sister, grandmother and friend to all who came to know and love her. Marjorie was preceded in death by her husband, Bill; daughter, Sue Crockett and son William Chorlton. She is survived by her son, Jim Chorlton of Everson, WA; daughter-in-laws Irma and Glenda Chorlton. 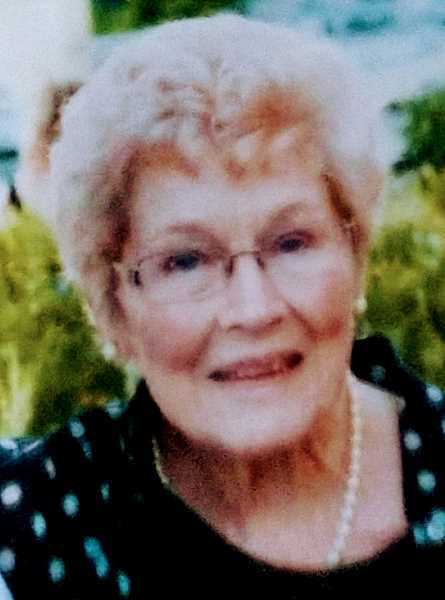 Marj was devoted to her eight grandchildren and six greatgrandchildren. She will be missed by her many nieces, nephews, long time friends and neighbors. Her memorial will be held this summer by Odell Lake at her family's request. The Chorlton family wishes to thank all the care givers at Barbar Vista Care Center and especially the Providence Hospice staff who provided tender care, endless support and prayer.